Famous food writer Michael Pollan shifts gears in his new book to look at psychedelics and their potential benefits. The city of Weyburn, Sask., population of around 11,000, is a desirable place to work and raise a family, according to its New Residents Handbook, which promotes its low crime rates, bountiful green spaces and family-friendly recreational facilities. Its placid image stands in contrast to the 1950s, when this Prairie city was also a hub for cutting-edge psychedelic research. At the now-demolished Weyburn Mental Hospital, psychiatrists Abram Hoffer and Humphry Osmond conducted experiments, administering lysergic acid diethylamide (LSD) to volunteers, co-workers, friends, family members and themselves. They eventually used the drug to treat patients with alcohol addiction, often successfully, and their work was recognized around the world. Now, after decades of dormancy, psychedelic research is being revived, as drugs such as LSD, psilocybin (found in magic mushrooms) and MDMA (commonly known as ecstasy) are tested as potential treatments for addiction, depression, post-traumatic stress disorder and other psychiatric disorders. Author Michael Pollan, famous for his exploration of where our food comes from in The Omnivore’s Dilemma, has shifted his focus to the history and revival of psychedelic research. 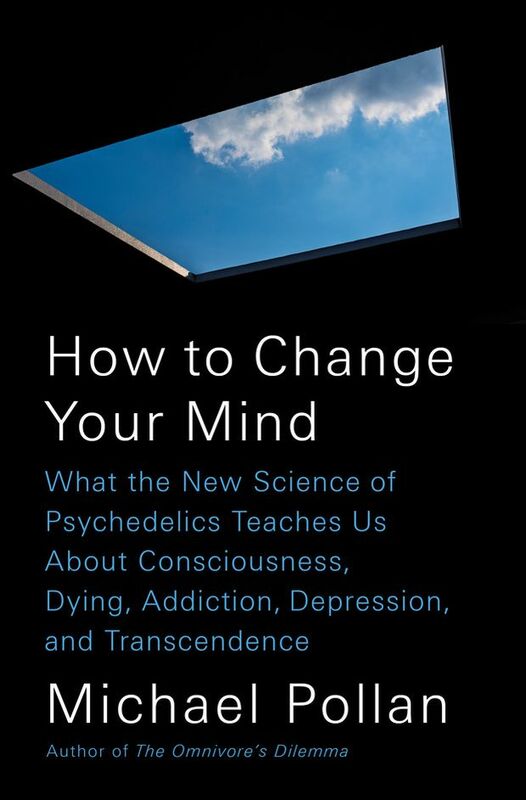 In his new book How to Change Your Mind: What the New Science of Psychedelics Teaches Us About Consciousness, Dying, Addiction, Depression and Transcendence, he looks back at some of the pioneering work conducted in Saskatchewan and interviews those at the forefront of this renewed field of exploration. He also embarks on his own journey to experiment with psychedelics for himself. Pollan says his book wasn’t written to inspire others to do the same. (“The vicarious experience, I hope, has some value, too,” he says.) Rather, he says, he hopes to convince readers that psychedelics can be a powerful resource for understanding the human mind. Why is there a revival of psychedelics now? I think what happened was very unnatural; we suspended a very promising line of research, so there were always people who felt there was great value in these drugs and sought to restart research. At a certain point in the 1990s, a lot of the resistance seemed to melt away. In America, there were some new people at the FDA [Food and Drug Administration], who – not that they were encouraging, but they were not going to discriminate against these drugs just because they were psychedelics. And that kind of opened the door. The second factor is ever since the introduction of the SSRI [selective serotonin reuptake inhibitor] anti-depressants, there really hasn’t been much new in the pipeline that can help people struggling with common forms of mental illness such as depression and addiction. So I think there was some openness to try some radical new ideas – even though they weren’t all new. How did psychedelics acquire a dangerous reputation? Beginning in the sixties, the drugs escaped the lab and were taken up by the counterculture. In a way, it’s the same story with MDMA later, which was a very promising drug in psychotherapy, but when it became a club drug, the government cracked down on it. In the case of LSD and psilocybin, there was a full-scale moral panic in the sixties, where it was very destabilizing to the culture. Yet some people did have very negative experiences with psychedelic drugs. How might these bad trips have occurred? People do have bad trips on these drugs. They’re very powerful and they don’t have a set response in people. For some people, it brings up trauma they haven’t dealt with. “Set” and “setting” are really key terms, [which refer to] your mindset going in and the setting in which you take the drugs. And if these are frightening in any way, that will be exaggerated. In a clinical setting, bad trips actually become very productive because they bring up important psychological issues. But when you’re a young person and you’re taking drugs whose provenance you really don’t understand, and then you’re going to a concert or walking in the woods, yeah, you can have some negative psychological experiences. The question is what then happens? I also think a certain number of bad trips were really panic reactions that were misdiagnosed because they look like psychotic breaks – people are seeing things, their sense of self is disappearing. But usually the symptoms pass within 24 hours. I don’t want to minimize the fact that there are risks associated with these drugs – psychological risks, not so much biological risks. But they become much more problematic in a recreational context, than in a clinical context. When it comes to using psychedelics to treat addiction and depression, what’s the thinking around why they work? Some of the people I talked to had the most banal insights during their trip, such as, “Gee, there’s so many great things to do in life, and how silly is it to kill yourself with smoking?” Anyone could have told them that, but for some reason, on the drug, an insight such as that becomes quite profound and authoritative. Can you explain the idea of using psychedelics for “the betterment of well people”? This is a term Bob Jesse, who is one of the researchers and motive forces behind the revival of the research beginning in the nineties, has used. He expresses some concern that if you just medicalize these drugs – in other words, make them only available to people with serious pathologies – you’re missing something. And that these drugs have potential benefit for people who are otherwise healthy, but could be better – in other words, happier, more creative. What were you looking to get out of trying them yourself? I started out with your basic journalistic curiosity. I was talking to people who had this very powerful experience that had changed them in some way. I was curious to know what that was like. It also became a more personal quest because I was approaching 60 when I started this project, and I was really aware that I had gotten locked into thought behaviours that were fine; I was productive, and certainly not unhappy. But I had this sense that “Boy, I would really like to break out of that rote way of experiencing and seeing things.” And I hadn’t had a spiritual experience, and there comes a time in your life when you get curious about those things. What is a spiritual experience? How might it unfold in my mind? What did you take away from your psychedelic journeys? I would say the biggest takeaway was my relationship with my ego changed, especially after a high-dose psilocybin trip. That chattering voice in my head that was telling me what’s right and wrong and what to do wasn’t all of me and wasn’t necessarily the best part of me. To see my ego as something I didn’t always have to listen to all the time, and to realize there was another ground on which you could stand, that was big news to me. I think since, it’s allowed me to get a little more perspective. That’s the same perspective you might get with 10 years of psychoanalysis, but I got it in an afternoon.